Squeezed up against fellow attendees on battered wooden benches in an old cinema, I’m not at your typical venue for a classical piano concert. Rather than the mass of grey heads you might expect at a Bach recital, the crowd – and it is packed to the rafters – is a swarm of beanies and trench coats. 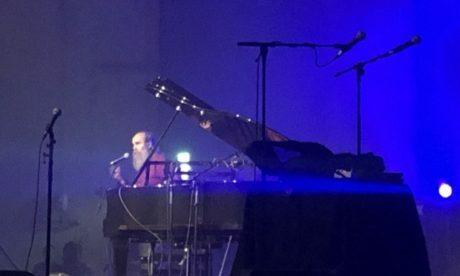 But then Lubomyr Melnyk is no ordinary classical pianist. The long-bearded Ukrainian is at the not-long-reopened EartH in Dalston to celebrate his seventieth birthday and several decades of pioneering his distinctive style of quick-fingered ‘continuous music’. Flanked by other eminent artists from the experimental Erased Tapes label, this is classical music at its most avant-garde. The anticipation is palpable. Anne Müller, a Berlin-based cellist, is the stand-out support of the night. Using a foot pedal to constantly loop the harrowing melodies she creates, there are subtle electronic influences in her sound. She uses her instrument to full and forceful effect, frequently placing down her bow in order to hit and strum the cello. Her hypnotic, all-consuming playing drifts up through the space and sets the tone for the evening. The audience’s entrancement is punctuated occasionally by the crack of a beer can being opened, but this somehow only adds to the intimate, low-key feel which juxtaposes so sweetly with the ambition of the music. Someone we meet in the queue tells us that Melnyk plays as if his body is water. I’m unsure what he means by this until he comes on stage. Eyes closed, his hands move across the piano impossibly quickly. I discover afterwards that he regularly plays 12 to 14 notes per second. Yet the Guinness World Records couldn’t be more irrelevant when compared to Melnyk’s ability to create a cacophony of cascading notes with emotional impact. His martial arts-inspired technique gives echoes of Phillip Glass but is far more textured, building up endless layers and conjuring up the impression of moving towards something only to be dragged back again. It is agonising, incessant and desperately, beautifully sad. 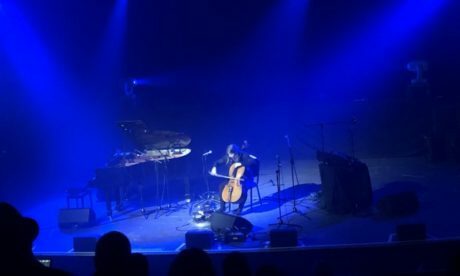 In an interlude between the bewitching, 20-minute pieces from his new album Fallen Trees during which the crowd barely draws breath, someone shouts ‘Happy birthday Lubomyr!’ and everyone cheers. He looks genuinely touched as he grins and tells the crowd “how wonderful it is to get older and older”. As his bearded face, dark with intense concentration, is reflected in the shiny grand piano and his hands glide effortlessly across the keys, Melnyk’s many years of experience are imbued in every note. Bittersweet and haunting, what a privilege to have seen such a master of his discipline at work.